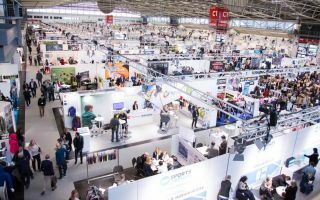 For the very first time at an Intertextile Shanghai Apparel Fabrics fair, the entire supply chain for a product category will be on display in the same area. The Beyond Denim hall will house denim yarns, fabrics, garments, accessories and machinery to become a true one-stop global platform, and has been re-designed with a special denim style by American design studio Doneger Creative Services. The fair as a whole is the industry’s largest apparel fabrics and accessories event, and takes place at the brand-new National Exhibition and Convention Center (Shanghai) from 13 – 15 October. First held at the 2014 Autumn Edition, Beyond Denim expands in size this year by over 70% as a wider range of exhibitors participate. This includes a large number of ready-to-wear denim suppliers from CHIC, the concurrent fashion garment fair. Doneger Creative Services has also created a Denim Forum which will showcase different denim products, trends and technology, and features five trend themes: Dwell, Western, Cyber, Artisan and Wanderer. • SEI S.p.A (Italy) will showcase its unique ‘Flexi Denim’ laser system which includes proprietary technology that allows for production speeds of up to three times faster than other machines with the same laser capacity. This system can substitute traditional methods of stone washing, whiskering, fading, sanding, ripping and more on denim and finished garments. • Lucky Textiles Group (Hong Kong) specialises in corduroy, twill and denim products, and will feature products with features such as nanotech, iron-free (high & low temperatures), water & oil repellence, anti-pollution protection and more. • H.W. Textiles (Hong Kong) is a joint venture company with Japanese firm Kurabo. They boast spinning, dyeing and finishing capabilities, and will feature their Kuga, Rogi, Flexi, Vintage and Boy Friend Denim collections at the fair. 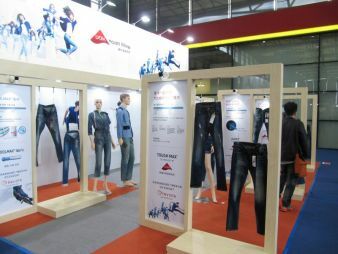 Many of China’s leading fabric and garment suppliers will also feature at the fair, including Advance Denim, Benjie Textile, Black Peony Group, Foshan Huafeng Textile, Foshan Lisheng Textile, Foshan Seazon Textile and Garment, Freedom Denim, Panther Textiles Holding, Prosperity Textiles, Shan Dong Dai Yin Textile Group and Zibo Haitian Textile. Buyers looking to discover new and innovative products can find them in six country and region pavilions from India, Indonesia, Japan, Korea, Taiwan and Thailand in halls 5.2 and 6.2. The Japan Pavilion promises to be one of the most innovative at the fair, with a number of exhibitors among the 36 participants showcasing state-of-the-art products and technologies according to Mr Akira Kawashima, Senior Director, Textile Division of the Japan Fashion Week Organization, organisers of the pavilion. 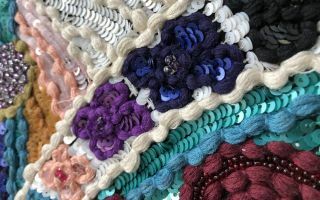 Saiei Orimono Co Ltd is bringing what it calls ‘fairy feather’ to the fair, a very thin and flexible yarn-dyed silk fabric made from 8 denier silk threads which they spent four years developing. Seiren Co Ltd will exhibit products which are produced with their self-developed digital printing system, which uses up to one-fifth less water than other methods. Asahi Kasei Fibers Corporation, meanwhile, is displaying a range of cuprammonium rayon, or Benberg, as well as their Roica elastane fibre spandex. Daiichi Orimono Co Ltd will present their functional ‘super-dense fabric’ which is supplied around the world to the industry’s top brands. And Toray Industries Inc will exhibit their ‘ultrasuede’ product, a suede-like artificial leather. The Taiwan Pavilion, organised by the Taiwan Textile Federation, will also be home to some innovative and unique products. Far Eastern New Century Corp is focusing on sustainable, smart-textile and multifunctional fabric ranges, which includes anti-static heat-generating fabrics, quick-dry fabrics and stretchable and lightweight eco fabrics. The company reports that these products match with the increasing demand in China at present for casualwear and sportswear fabrics. Singtex Industrial Co Ltd, meanwhile, are exhibiting their award-winning P4DRY fabric which is made by printing ground coffee grounds onto the cloth to absorb moisture and reduce odours. And their AIRMEM eco-friendly biofilm uses modified coffee oil and hydrophilic agents to improve moisture permeability and water repellency. Another self-developed cotton and nylon fabric printing technology on display at the fair is from New Wide Group. Its Eco-Trans Printing process not only produces delicate patterns, but also reduces water and energy consumption. Dr. Long International Co Ltd will showcase fabrics with features such as permanent antistatic, far infrared heating and instant dry. Lastly, Full Blossom Co Ltd will present their collections of cotton and natural fibres in a range of Western-style series. In addition to innovative products from Asia, cutting-edge fabrics can be found in the eight Group Pavilions to feature at this year’s fair. The pavilions, which are organised by leading fibre and yarn companies and feature their partner mills, include Birla Cellulose (Grasim), DuPont, Hyosung, INVISTA, the Korea Chemical Fibers Association (KCFA), the Korea Textile Trade Association (KTTA), Lenzing and Oeko-Tex. All pavilions are housed in hall 5.2, including the Oeko-Tex Pavilion which features in the All About Sustainability zone. For more details on this fair, please visit: www.intertextileapparel.com.